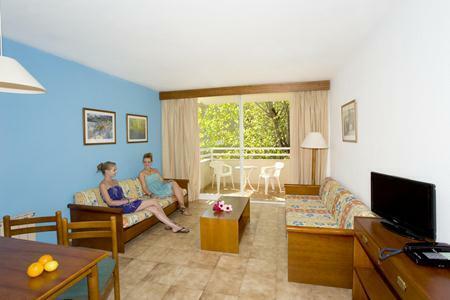 Everything at the Millor Garden Aparthotel is geared towards relaxing holidays. 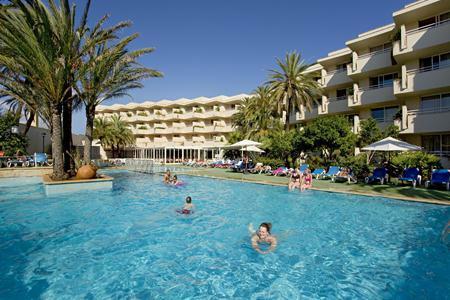 Firstly, this adultsonly 3 star hotel is set in a quiet location, just 100m from the golden sands of Cala Bona beach. Secondly, the pool areas really take centre stage, with the choice of a lagoon style beauty outside and a relaxing pool indoors. On top of these highlights, there is a fully equipped gymnasium and multi sports court plus a chilled out wellness area with sauna and Jacuzzi. The stylish and modern bedrooms are the perfect place to relax after a day in the sunshine. When it comes to meals, you can dine your way around the world. From colourful and tasty buffets to romantic dinners for two, weekly themed nights and barbecues under the stars. When night falls, a varied line up of entertainment awaits. From live shows and discos to fun and games. If you are holidaying as a couple or with a group of friends, discover why the Millor Garden Aparthotel is one of the most popular 3star hotels in Majorca. The Millor Garden Aparthotel has all the facilities you would expect from a 3star hotel in Majorca, and a few more besides. Highlights include outdoor swimming pools, a heated indoor pool, multi sports court, tennis court, gymnasium and solarium. There is also a 24hour reception, lounge, lounge bar, free WiFi hotspots, air conditioned restaurant, poolside bar. A full programme of daytime activities includes water aerobics, archery, shooting, boules and basket ball. The 158 rooms at the Millor Garden Aparthotel all come with bathroom, terrace or balcony, air conditioning, satellite TV, music, telephone, hairdryer, mini bar and a safe(charge applies). There are plenty of options to tempt your taste buds at the Millor Garden Aparthotel. Meals in the restaurant include lavish international buffets, show cooking and attractive desserts. Themed weekly dinners, romantic meals for two and barbecues are also on the menu. Beverages and snacks are served throughout the daytime at the poolside snack bar. A full line up of evening entertainment brings live shows, games and disco music. 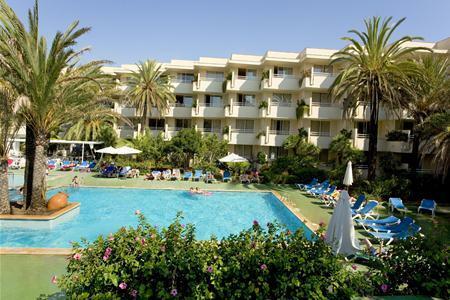 The 3star Millor Garden Aparthotel is located in Cala Millor, just 100m from Cala Bona beach and 300m from the marina. The airport is 60km from the hotel.